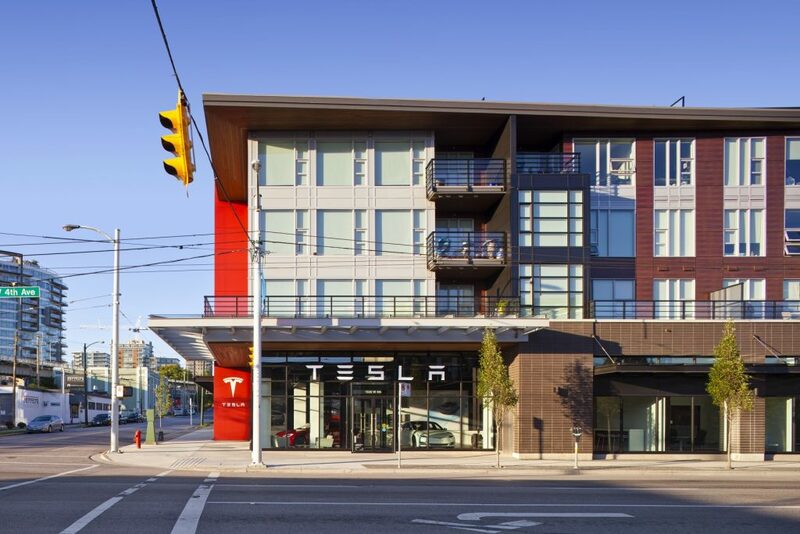 Have you visited TESLA’s newest location in Vancouver? This prestigious global leader in sustainable business practices and maker of the luxury electric vehicle line moved in Radius early this year. Even more notable, this location is the first TESLA retail and service center in Western Canada. You can see for yourself that TESLA is a natural fit at this gateway community to Kitsilano. We are proud to build beautiful retail spaces for both prominent companies and local business owners.